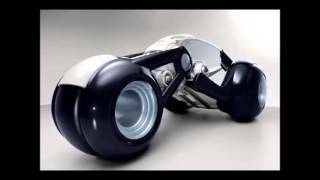 Peugeot�s RD Concept has become a full-size model at the 2009 Shanghai Auto Show where it is displayed as an environmentally friendly electric unit with three wheels. 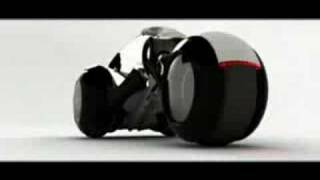 The RD Concept was created by 27 year old Carlos Arturo Torres Tovar, who is a Colombian that just graduated from the National University of Colombia. The RD Concept features panoramic all-around visibility and head-up display. Life-size model of the RD concept car! On the occasion of the Shanghai Motor Show, a life-size model of the RD concept car, the winning project in the 5th Peugeot design competition, will be presented to the Chinese public. The subject for this latest edition of the competition was "Imagine the Peugeot in the Worldwide Megalopolis of tomorrow, and it was a resounding success with over 2 500 projects submitted from candidates of 95 different nationalities. Equipped with an environmentally friendly electric motor, the driving position in this single-seat concept offers a new feeling of freedom, thanks to its panoramic vision, voice-message driving assistance and a heads-up display system that gives all the information required for travelling in complete safety. 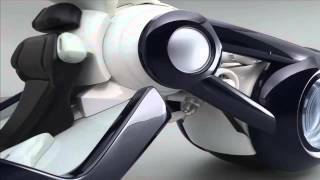 This concept car combines the sensations of a 3-wheeled scooter with the driving pleasure of a saloon car, while retaining all the essential functions of both modes of transport� and while adding a silent environment. As you would expect, being accessible, solid and extremely simply designed, the Peugeot RD concept car fits perfectly with the complicated mobility constraints you would encounter in a megalopolis of the future. Carlos Arturo Torres Tovar is a young, 27 year old Colombian who grew up in the small industrial town of Tunja . Since childhood, he has been working and modelling in clay and is passionate about sculpture. 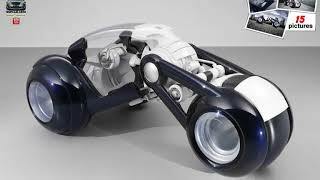 Accordingly, he has drawn, sketched and sculpted a host of objects, especially cars, in all sorts of materials �. He gave up his initial language studies in Tunja to move to Bogota and attend an Industrial Design School at the National University of Colombia, from where he has just graduated. 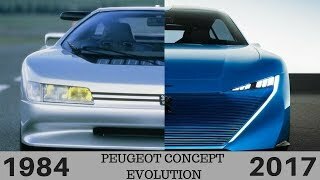 Peugeot's 5th design competition: a genuine success. This event created a real "buzz" with over 600 000 visitors to the www.peugeot.com site and a wealth of interaction on blogs and forums from all over the world. As the leading automobile design competition with an international dimension, the Peugeot Design Competition continues to be enthusiastically received by young designers who dream of a responsible world where mobility serves humankind without harming the environment. Hydrid engines, electric motors and fuel cells, not forgetting space-saving designs, are among the solutions explored by designers competing to guarantee this balanced alliance between man and machine. New prizes in keeping with the quality of the creations Peugeot is firmly committed to encouraging young talents and has upgraded the prizes available for competition winners. In addition to seeing his or her project produced on a 1:1 scale, Peugeot now also offers a cheque for 10 000 euros and an Xbox 360 games console. As in previous editions of the competition, prizes are also awarded to the 29 other short-listed projects. There were 5 separate phases in the 2008 Design competition. Selection phase: Between 25th and 31st July, the jury worked to select the thirty short-listed projects to be presented to internet users and the press for their votes. For one month, starting on 15th August, internet users could vote for the ten projects to enter into the finals. The concept cars designed by the ten finalists were posted on line from 16th September onwards. The podium was revealed on 2nd October on the Peugeot stand at the Paris Motor Show. Starting in October 2008, Peugeot worked to produce the 1:1 scale model of the winning project. From 20th April 2009 , the winning concept car model will be on display on the Peugeot stand at the Shanghai Motor Show in China .